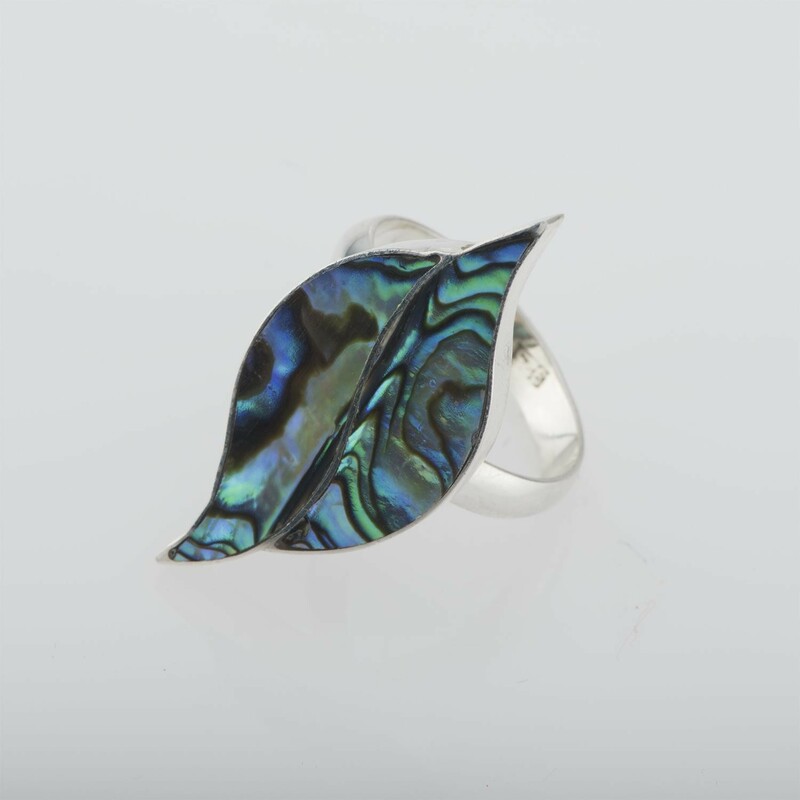 Handmade rings - Natural Paua Two-Piece Leaf ring in silver inlay is a statement ring to make an impressive move. Artisan jewelry with multi-colored hues crafted as sterling silver ring to wrap your finger in perfection. This stunning finery of silver jewelry design with two leaves holds c... Read more. Handmade rings - Natural Paua Two-Piece Leaf ring in silver inlay is a statement ring to make an impressive move. Artisan jewelry with multi-colored hues crafted as sterling silver ring to wrap your finger in perfection. This stunning finery of silver jewelry design with two leaves holds captivating charm and leaves no stone upturned in garnering amiable attention.